Natick, MA., June 11, 2018 – Realizing Children’s Strengths (RCS) Learning Center in Natick, MA is the recipient of a $100,000 grant from the Woburn-based Cummings Foundation. RCS is one of 100 local nonprofits selected from 597 applicants for the Cummings Foundation’s “$100k for 100” program. Rizzo-Ranieri and RCS Development Manager Julie Falcucci joined approximately 300 other guests at a recent reception at TradeCenter 128 in Woburn to celebrate the grant recipients. With the conclusion of this grant cycle, Cummings Foundation has now awarded more than $220 million to Greater Boston nonprofits alone. This year’s diverse group of grant recipients represents a wide variety of causes, including autism education and programs, homelessness prevention and affordable housing, violence prevention, and food insecurity. Most of the grants will be paid over two to five years. The complete list of 100 grant is available at www.CummingsFoundation.org. Visit our friendly HR team at the 44th Annual NHCUC Career Fair located at Saint Anselm College in Manchester, NH. We look forward to connect with students from 21 New Hampshire colleges about our career opportunities working in the field of Applied Behavioral Anylsis (ABA) and children. Visit our friendly HR team at UMass Dartmouth’s largest career fair of the year, the Annual Job & Internship Expo. We look forward to meeting students interested in full-time career opportunities, part-time jobs, and internships in the field of Applied Behavioral Analysis (ABA) with a passion for working with children. Check out our current job openings today! 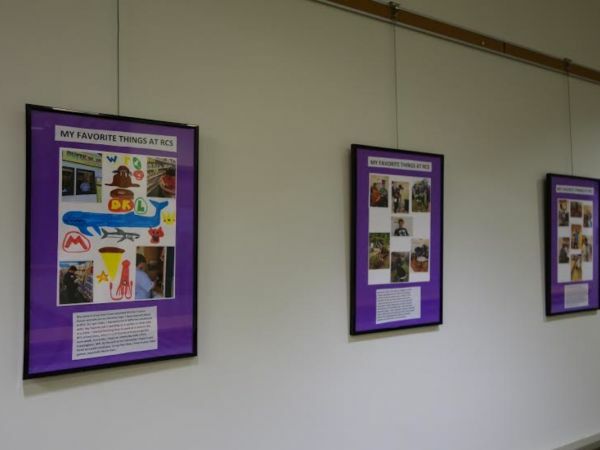 ABOUT THE EXHIBIT: The Natick Community-Senior Center is displaying art completed by students who attend Realizing Children’s Strengths (RCS) Learning Center in Natick. The exclusive art show will be exhibited from now until January 15. Each piece of art includes an individual profile of a RCS Learning Center student, in the “Let’s Get to Work” vocational program, “who I am, what I like, what interests me.” Giving visitors to the Natick Community-Senor Center a peek into the lives of children with Autism Spectrum Disorders (ASD) who attend RCS Learning Center, a school for students with ASD and other developmental disabilities. For many years the Natick Community-Senior Center has featured local artists, but this is the first time working with such a unique group, or any non-profit. The Community-Senior Center and RCS Learning Center have a working relationship through the school’s vocational program. Older students in the RCS Learning Center program volunteer at the center and have assisted with Meals on Wheels. Vocational Director Jacqueline Adams, M.S., BCBA, LABA, said this is a wonderful opportunity for the students and RCS Learning Center to show their work in an art gallery-like setting, to share their stories with the public, for the public to learn about RCS, and to build awareness about its program. 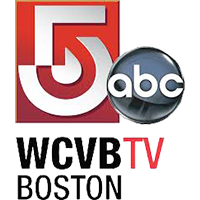 ABOUT JORDAN RICH: Since his late teens, Jordan has been a fixture on Boston airwaves, beginning with his first job as weather reporter on WRKO in 1978. He soon was promoted to morning co-host, sharing the spotlight with the legendary Norm Nathan. He made his way to WLLH as a talk host and eventually became morning host on the adult contemporary radio station WSSH FM. Jordan greeted listeners daily for fifteen years on the 50,000 watt FM music station before moving to WBZ where he has remained since the mid 1990’s. As host of the long running Jordan Rich Show, he developed a loyal nation-wide audience who enjoyed intelligent talk about art, culture, history, science, and the human experience. Jordan also interviewed many authors, musicians, actors, and other celebrities. 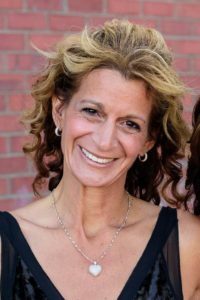 Jordan can now be heard daily on WBZ’s Connoisseur Corner and New England Weekend. Jordan Rich is a native of the Boston area whose career on Boston radio and TV spans nearly four decades. While attending Curry College, he began career began at WRKO Boston. Shortly thereafter, Jordan hosted a talk-radio show on WLLH-AM and a weekend music program on WSSH-FM. He went on to become the popular morning host at WSSH-FM, a position he had for nearly fifteen years. In 1996, Jordan began working at WBZ News Radio AM 1030, at that time taking over for his longtime friend and mentor Norm Nathan. He hosted The Jordan Rich Show at WBZ for two decades before “retiring” from the late night talk radio shift in 2016. Today, Jordan’s Connoisseurs Corner spots and New England Weekend updates remain popular across the region. Jordan has a busy extra curricular schedule, often serving as a professional master of ceremonies, celebrity auctioneer, and keynote speaker. Throughout his career, Jordan has been an active fundraiser for many organizations and charities, including Bostons Children’s Hospital, The Massachusetts General Hospital Cancer Center, The Boston Minstrels, Vilna Shul, Metro West Jewish Family Services, and The Boston Home. Dec. 18, 2017 / Natick Patch / NATICK, Mass. – The Natick Community-Senior Center is displaying art completed by students who attend Realizing Children’s Strengths (RCS) Learning Center in Natick. The exclusive art show will be exhibited from now until January 15. The Natick Community-Senior Center sees about 300-400 visitors daily. With a theme of Holiday Giving, visitors will be encouraged to not only learn as much as they can about RCS Learning Center and the students, but they also will have an opportunity to donate to the school, which is a non-profit. Realizing Children’s Strengths (RCS) Learning Center is a leader whose mission is to provide the highest quality of individualized behavioral and educational services and researching treatments for children with Autism Spectrum Disorders and other developmental disabilities. Founders Denise Rizzo-Ranieri and Louis Ranieri combined their many years of successful behavioral and educational consulting and developed the Natick school that exceeds the standards for teaching students with autism effectively through intensive, quality 1:1 interactive education through ABA services/methods. 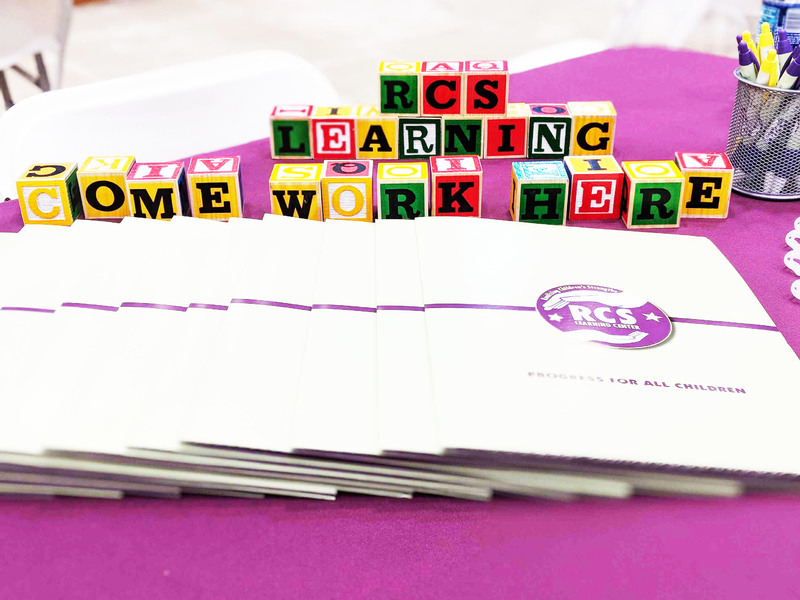 RCS Learning Center provides vocational skills training through real-world job training on site and at partner locations. Realizing Children’s Strengths (RCS), which provides behavioral and educational research and education for children with Autism Spectrum Disorders and other development disabilities, announced a 2017/2018 collaboration with Simmons College that will enable RCS employees to further their education in Behavior Analysis on the RCS Learning Center campus. Through this year’s agreement, the 5th Cohort to date, twenty-one staff members at RCS who wish to work toward an M.S. in Behavior Analysis have enrolled in the Simmons College Graduate Program, with all the classes being held at the RCS Learning Center in Natick. RCS employees receive a significant reduction in tuition and enjoy all the privileges of an on-campus Simmons student. After completing the 42 credits over five semesters, the RCS M.S. candidates will be eligible to sit for the BCBA exam. The Simmons College Behavior Analysis program prepares its students for leadership roles in the implementation, evaluation and administration of applied behavioral analytic principles and methods. The innovative curriculum emphasizes contemporary research and the fusion of applied behavior analysis with other scientific fields. 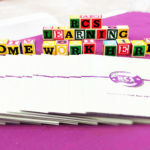 Simmons and RCS have enjoyed a long relationship with Simmons staff also working full-time at RCS and Simmons BCBA students getting hands-on experience working with RCS students. Simmons College (www.simmons.edu) is a nationally recognized private university located in the heart of Boston, and is the preeminent authority on women’s leadership. Founded in 1899, Simmons is the only undergraduate women’s college in Boston, and maintains a history of visionary thinking and a focus on social responsibility. The college offers world-class coeducational graduate programs in nursing and health sciences, including physical therapy and nutrition; liberal arts; education; behavior analysis; library and information science; management; and social work.